London: The UK could delay its exit from the European Union if negotiations are reopened and a new deal is reached with Brussels by the end of March, Foreign Secretary Jeremy Hunt said on Thursday. Hunt made his comments during an interview with BBC Radio 4’s Today show. “I think it is true that if we ended up approving a deal in the days before March 29th then we might need some extra time to pass critical legislation,” he said. “But if we’re able to make progress sooner then that might not be necessary and we can’t know at this stage exactly which of those scenarios would happen,” added the minister. On Tuesday, lawmakers in the House of Commons, the lower chamber of parliament, backed an amendment to Prime Minister Theresa May’s Brexit deal to reopen with withdrawal agreement and find a replacement to the Irish backstop clause, which was designed to safeguard the open border on the island of Ireland. The EU swiftly poured cold water on the plan as its leader sent a united message saying the pact would not be renegotiated. The Commons also approved a non-binding amendment to a government motion to ensure the UK does not crash out of the EU without a deal, Efe news reported. May’s initial deal, which came about after two years of complex negotiations, was rejected by MPs on January 15. In his comments on the radio, Hunt said it was “difficult to know” if negotiations would be taking place right till the end of March, adding he thought there had been a change in his country’s political climate in recent days. May acknowledged this week the “limited appetite” in Brussels to return to the negotiating table but expressed her confidence in being able to secure the necessary changes to pass a revised version of the deal. 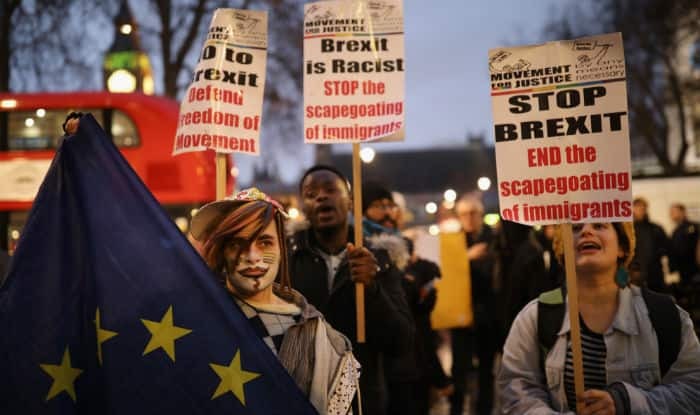 Brexit has opened divisions across the UK and seen protesters campaigning both in favour and against leaving the EU staging daily demonstrations outside Parliament. The country is set to leave the EU on March 29 this year after May triggered Article 50 of the Treaty of Lisbon on the same date in 2017, notifying the bloc of her intention to pull the UK out of the bloc. The government activated the mechanism after the UK electorate narrowly voted in favour of such a move in a referendum in June 2016.